Guaranteed Reservations: You are guaranteed space available anytime you make a reservation 5 or more days before your check-in date. 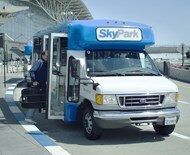 Express Exit (optional): Register a credit card with SkyPark and when you call for a pick up at SFO, we will process your ticket while you are on the shuttle so your receipt will be waiting for you in your car. *Points not used within 2 years of being earned will expire. SkyPark Express Club Members Login First! 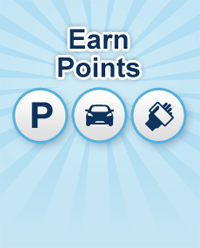 Earn points for free parking & additional car care services plus receive priority reservations when you join the SkyPark Express Parking Club.